Create this stunning critter from the mini nanoblock range. With 150+ pieces, it's popular for boys and girls of all ages, and here's why: Nanoblocks are a stack of fun in small detail! 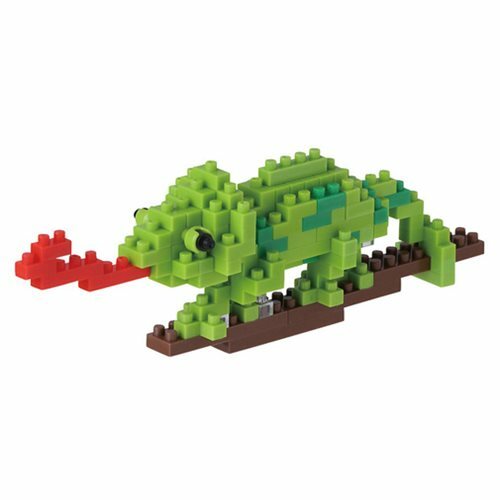 You can build this Chameleon Nanoblock Constructible Figure that fits in the palm of your hand with these micro-sized building blocks that enable you to execute even the finest details like never before. You'll be amazed as this awesome figure takes shape right beneath your fingertips!